Thanks to your generosity, HRA is able to provide a safe place for the beloved pets of domestic violence victims who are seeking to escape tough situations and rebuild their lives. By offering free housing in a safe environment for these animals, we give the pet's guardian a chance to find the help they desperately need. 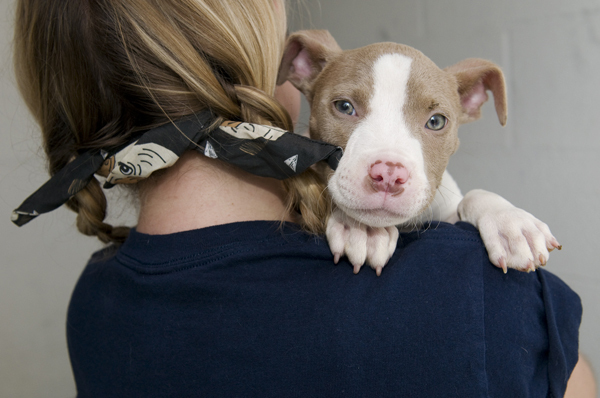 HRA's Safe Haven is the only program of its kind in Washington, DC; local domestic violence and homeless shelters are not able to house animals, and victims may be faced with the impossible decision to either continue to endure abuse or leave their four-legged family member behind. Yes, this donation is in honor of someone special. PLEASE CHECK THIS BOX FOR ALL TRIBUTE GIFTS. * All donations made in Honor/Memory will be listed in our quarterly newsletter, Alliance. To help cover the costs of processing and mailing, we ask for a minimum donation of $25 in order to mail a card.